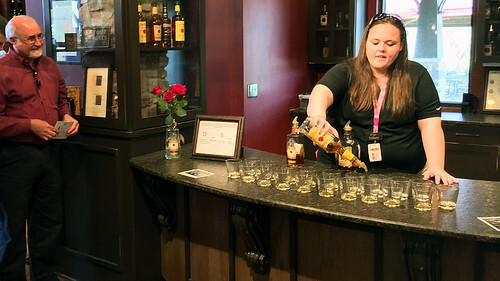 After resuming our cross-country roadtrip with a stay in Asheville, North Carolina, Kim and I made the beautiful drive along Highway 25 across the Appalachians to Pigeon Forge, Tennessee. Why Pigeon Forge? Two reasons. First, it’s home to Dollywood, the Dolly Parton theme park. Kim is a huge Dolly fan and was eager to see this homage to the place where she grew up. Second, Pigeon Forge is close to Great Smoky Mountains National Park, the southern extent of the Appalachian Mountains. We weren’t quite prepared for what we found in Pigeon Forge. 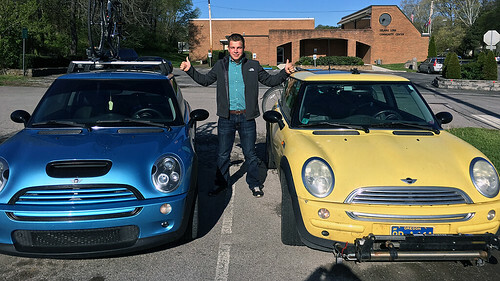 It’s one of three smallish cities — including Sevierville to the north and Gatlinburg to the south — that have merged into one long entertainment strip filled with go-kart tracks, mini-golf courses, and similar attractions. It reminded us very much of Wisconsin Dells. (It’s like “Las Vegas for kids”.) As a result traffic along highway 441 through these three towns is thick and slow. Fortunately, our RV park was a few miles out of town in the quiet countryside of the Smoky foothills. When the crowds got to be too much, we could retreat to the motorhome for some quiet meditation. 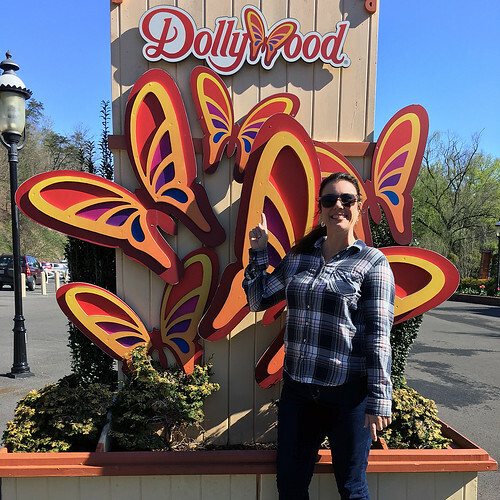 Kim and I enjoyed our day at Dollywood. This theme park was more robust than I had expected; there are plenty of rides and other things to do, even for adults. Plus, the food prices were reasonable (unusual for a theme park). It was also fun to see that the average age of visitors to Dollywood skewed older than other theme parks. There were plenty of kids, sure, but there were also many senior citizens. Kim and I spent two days driving through Great Smoky Mountains National Park. 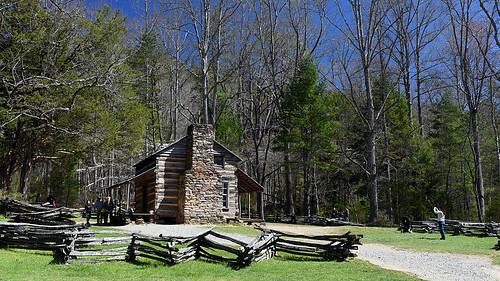 On the first, we wound our way to Cades Cove, a small valley in the heart of the mountains. Once home to several dozen homesteading families, this area has now been preserved to show how folks lived 100 or 150 years ago. Scattered throughout the valley are mills, churches, and old log cabins. After a few days in eastern Tennessee, we moved on to the state’s most famous city: Nashville, the home of country music. Walking through downtown Nashville, live music is everywhere. It pours out of every building. 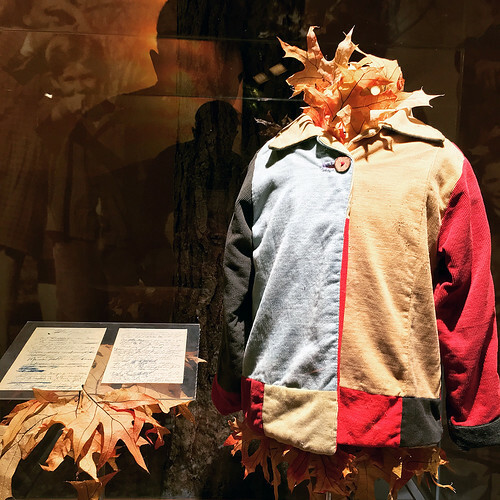 You can learn more about it in places like the Johnny Cash Museum and the Country Music Hall of fame. 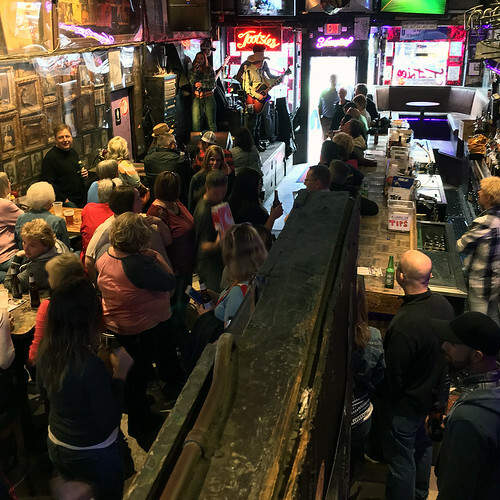 If you want to really absorb the experience, you can step into bars like Tootsie’s, where several bands play at the same time — all day long. And, of course, you can take in the country legends by visiting the Grand Ole Opry. While we were there, one of my favorite modern artists — Erich Church — was playing a show. 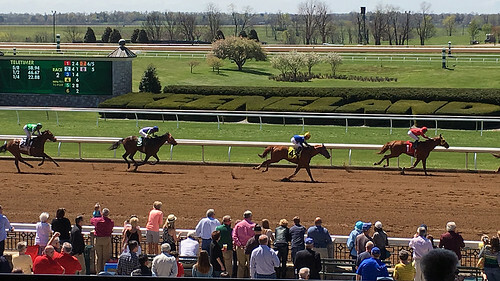 We debated buying tickets, but they were going for several hundred dollars each on the after-market, so we opted against it. The show we saw at the Opry was disappointing, I’m sorry to say. 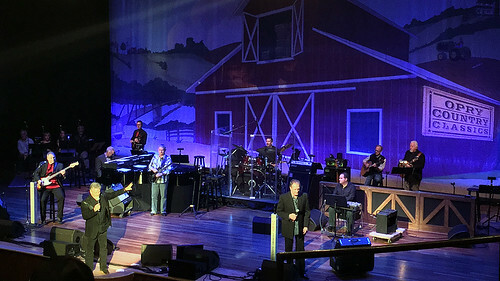 That’s okay, though, because we enjoyed the other show we saw at the Ryman Auditorium in downtown Nashville. While in Nashville, I had a chance to meet with several people. First, Kim and I enjoyed a delicious supper at the home of Travis and Jessica. (Travis is a long-time reader of my money blogs.) Next, I met my colleague Dan Morris for breakfast. Finally, I met a cousin for breakfast as he was passing through town. We enjoyed Nashville except one notable downside. The city has some of the worst traffic we’ve encountered on this trip. Nashville drivers are terrible — and they know it. (When I complained to folks who lived there, they simply sighed and agreed with me.) They drive too fast. They don’t allow others to change lanes or merge. And, most baffling, they constantly drift from lane to lane for no apparent reason. On one ten-mile freeway drive from downtown to the RV park, we counted more than a dozen cars that drifted into other lanes. (I suspect this is due to cell phone use. Nashville has many, many billboards asking folks not to use cell phones while driving.) So far, Savannah holds the top spot for worst drivers we’ve seen on our trip, but Nashville made a strong case that its drivers are in fact worse.